Rani Mukerji’s heart-warming and inspiring film Hichki has become a worldwide success story. 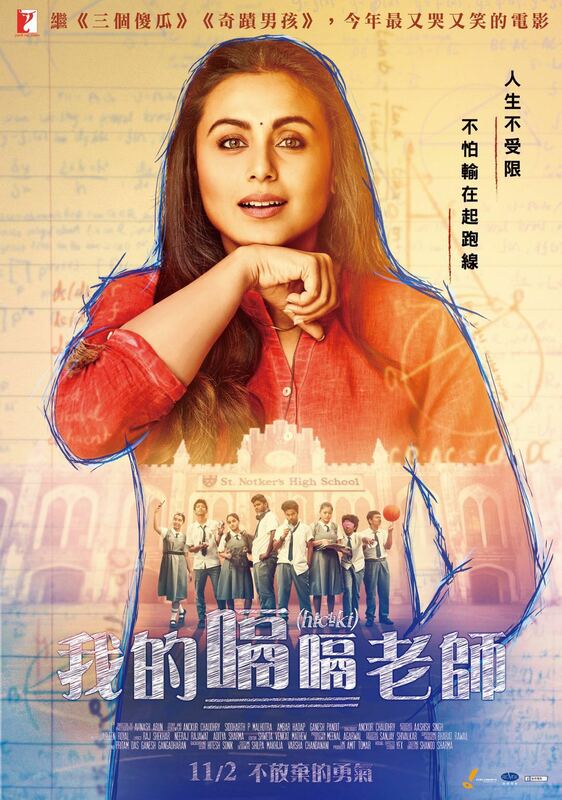 Given the universal appeal of the film, Hichki has been witnessing a staggered release across the world and now it is set to release in Taiwan on 2nd November. The movie is being re-titled as ‘My Teacher with Hiccups’ for the Taiwanese audiences. The film’s Taiwanese poster also has a motivating thought written on it. It reads – ‘Never limit yourself, don’t be afraid, even though you have some born disability’. Internationally, Hichki has so far released in Russia and Kazakhstan, and it is expected to wow audiences in Taiwan. The film is also releasing in Hong Kong on 8th November and China on 12th October. Rani’s performance as Naina Mathur, a school teacher dealing with an involuntary nervous system disorder, Tourette Syndrome, has been widely loved by audiences and critics alike across the world. Her brilliant performance has seen her sweep awards and accolades in India this year. Hichki has also been receiving worldwide acclaim and honours. It received a standing ovation at the Shanghai International Film Festival (SIFF) and then at the Indian Film Festival of Melbourne (IFFM) where Rani was again awarded the Best Actress award. 16 queries in 0.853 seconds.